Military operations were nothing new in South Wellfleet. In April 1917 the U.S. Navy took possession of the Marconi Station in South Wellfleet, creating the U.S. Navy Radio Station — until 1926, when the Navy de-accessioned the operation. The Navy purchased the Marconi land in 1918. The U.S. government owned the land where the Cahoon Hollow Life Saving Station was located, although the operation there employed local men. When I first began researching the Army’s Camp Wellfleet operation, I assumed that the United States still owned the Marconi Station land. I was wrong — it was sold to a J. Sidney Forster in 1931. The U.S. government had no land in South Wellfleet. The United States launched a limited war-preparedness campaign in 1939; in the 1930s the U.S. Army completed a review process that concluded that war-readiness could not effectively begin on the day hostilities are declared. But President Roosevelt, running for his third term in 1940, was well aware of the pacifists on the one hand who did not want war, and, on the other, those who thought that the cost of a military buildup would subvert his recent social legislation. However, when Japan, Italy and Germany pursued imperial expansion in 1939-1940, the need to prepare grew more apparent. After Germany invaded Poland in 1939, launching a general European war, there was increased momentum in America to prepare for war. A significant amount was spent by the War Department in making the Camp Edwards site ready, providing work for hundreds of carpenters and other building craftsmen and laborers. Contractors constructed barracks for 50,000 men, along with numerous other buildings, including two hospitals. Two auxiliary sites were established: one in Sandwich, and one in South Wellfleet. Another sign of war readiness was to assign soldiers of the 241st Massachusetts Coast Artillery to guard Boston Harbor. The 211th Coast Artillery was the first unit to report in at Camp Edwards, where they stayed for a few days, and then were shipped to Texas’ Camp Hulle, near Galveston. A significant sign of preparation for an attack by an “enemy force” was a combat exercise on the Cape in 1941. The enemy had landed at South Wellfleet, and proceeded westward. Forces were to clash somewhere between Orleans and Brewster on a Tuesday and Wednesday in late July. This exercise involved combat teams of the 51st Infantry Brigade. Bags of flour were used as “bombs” that would aid in their vehicles’ advance, driving the enemy from the Cape. In her history of Wellfleet, Judy Stetson reports that the U.S. Army rented the land they needed near the old Marconi site. Nevertheless, now the Army needed a lot more land to establish an anti-aircraft range. In March 1943 there are newspaper reports of the formal opening of Camp Wellfleet. Prior to that date, there may have been some military activities, but I have not found any news reports — likely not allowed, since the country was now at war. On July 26, 1943, there is a “petition for condemnation” on the Barnstable County Deeds database indicating that 1800 acres of land in Wellfleet was taken for public use,” extendable during the existing national emergency.” The landowners, some known and some presumed, are listed in the document, viewable online. The bunker protected the operator and machinery which hauled targets mounted on sleds pulled by cables from a position near the Eastham-Wellfleet town line along the dune parallel to the beach… From these positions, well behind the water’s edge, the guns also attacked targets mounted on rafts moored in the ocean… In addition to ground and floating water targets Camp Wellfleet anti-aircraft that would take off from a tiny airstrip on the top of the bluffs. The eye-witness reports in this article, however, were from the nineteen fifties, when the drones were used for target practice — I don’t know if this technique was in place during the war years. Once the Camp was built, it could accommodate 1,000 men – so the buildings and barracks were extensive. Recently, I spoke with one of the members of the Barker family who still summers here in South Wellfleet. He and his family lived at the Barker farmhouse during World War II while his father was on active duty. One day, Army representatives knocked on their door and requested that the family leave for a few days. They did, finding another place to stay temporarily in Wellfleet. When they returned, the Army had left behind evidence of their maneuvers — a piece of a gun on a nearby hill, a foxhole, and a discarded shovel and an axe, Army green. The Army also used this family’s woodlot, east of Route 6, behind what is now Maurice’s Campground. In February 1945 Camp Wellfleet was turned over to the U.S. Navy as an adjunct of the Hyannis Naval Auxiliary Air Facility. The accounts of the Navy usage indicate a portion of the Camp was designated a bomb target site. Along with other Wellfleetians, I remember the noise of the guns firing — a background noise to my childhood Cape summers. Also, reveille playing in the morning and taps in the evening over the loudspeakers, clearly heard where we were located on Blackfish Creek if the wind was just right. After World War II, Camp Wellfleet reverted back to the Army — but within a few years, as the Korean War heated up, the training facility was needed again. Now the training was directed to National Guard units that came to the Cape in the summers. This continued through the fifties, until the weaponry changed and the guns of Wellfleet became obsolete. The U.S. Army and Camp Wellfleet had a defining moment with Cape Codders in August and September of 1951. In an unfortunate flat-footed moment, the Army announced that it was expanding the firing range to 300 square miles, from Race Point to Chatham. The plan was announced with notices tacked up in the post offices — no public hearings, and any objections to be filed in triplicate in Boston. The newspapers went wild, with the residents and fishermen sounding off about the plan. We are unalterably opposed to further taking or restricting of any territorial waters or territorial land by the Armed Services. We are residents of the narrowest part of our beloved Cape Cod and feel that such activity by the Armed Services will amount to confiscation of our property, our interests and our livelihood. The Army backed off a bit, and agreed to a hearing which was held at Wellfleet’s American Legion Hall on September 20, 1951. The confrontation of the military by angry local fisherman and residents drew national media attention. Besides The New York Times and the Boston papers, the event was covered in a long piece by E.J. Kahn (a Wellfleet summer resident) in The New Yorker (October 13, 1951) in an article titled ”The Battle of Wellfleet.” A long meeting was held that day, and the Army officers who attended had to listen to a lot of what the Cape Codder reporter called “unvarnished” language. regularly, and kids growing up in the area remember visiting the site and admiring the big guns. Camp Wellfleet caused other pressures upon the local communities. Convoys of Army trucks slowed traffic, especially before the widening of Route 6 in 1948-49. Groups of rambunctious young men sometimes got out of hand. There were regular newspaper accounts of Army trucks blowing through red lights in Orleans before the Mid-Cape was built. The website www.campwellfleet.com has information about the site, remembrances of young men who served in the National Guard there, and a memory piece by Jeffrey Haste of South Wellfleet of visiting the Camp with his father. 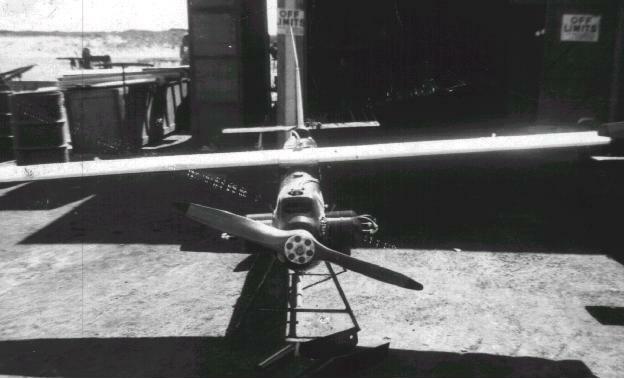 There’s also a photo of one of the drone planes. As the fifties ended and the legislation establishing the Cape Cod National Seashore was signed by President Kennedy in August 1961, Camp Wellfleet reached its final days of usefulness. Nike missiles replaced the 90mm anti-aircraft guns. Camp Wellfleet was closed and a small crew left to manage the site until the National Park Service arrived. Many buildings were removed and, early on, the dunes were planted with beach grass to stabilize them. I remember that the grass plantings looked like rows of corn when first planted. From about 1964 to 1969, the former barracks at Camp Wellfleet served as a Job Corps Training Center, but was closed down when its effectiveness in job training was questioned. Before the Army left, they plowed the dune to four feet deep to remove any unexploded shells that might have been stuck in the sand. A decontamination crew walked the site, probing for explosives. However, this first pass at decontamination was followed up with further study in the late 1990s. In 2002 and 2004 contractors moved through the site again, looking for ordnance. A specially equipped helicopter flew over the site to detect buried metal. John Hay, The Great Beach, paperback version 1972, Ballantine Books. How nice to hear from you! I enjoyed meeting your daughter last weekend on the Paine Hollow walk — and, now, hearing from you again is a special treat. I guess I just like the way “Wellfleetian” sounds!! and have picked it up from others who refer to those who live here, although I’m not sure we summer folks deserve the name. Your last sentence did not end — can you re-write it so we can see the finished thought? When I was in high school at Nauset in the 1970s, “Wellfleetian” was an almost derogatory name. That, and “Wellfleet greaser.” Wellfleet was much smaller than Orleans, and it probably had a higher percentage of low-income, year-round residents than did Orleans. I thought “Wellfleetian” was a relatively new term when I was in high school; “Wellfleeter” sounds more historical, but I don’t know if that is the case. Thank you for your article! 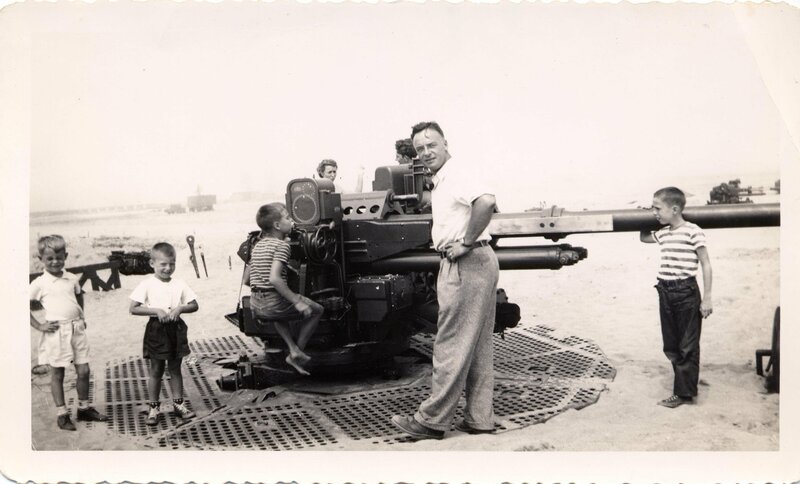 My father-in-law served in the National Guard during the Korean War, and I have a photo of him at Wellfleet, a place I never heard of before. He worked in radio co muni cations. Premature posting! My apologies. He worked in radio communications. He is a Holocaust survivor and his memoir THE ALTERED I: MEMOIR OF JOSEPH KEMPLER, HOLOCAUST SURVIVOR was released last year. In my marketing efforts I’m still researching old photos and his history. Thank you for providing this interesting National Guard history.